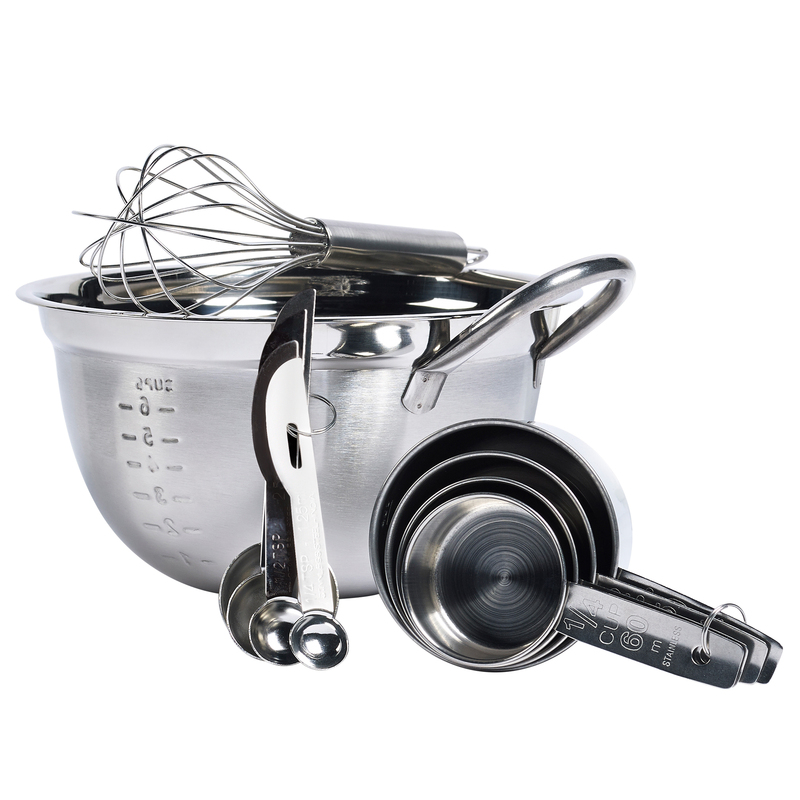 If you want perfect cooking and baking results, you need precise measuring of recipe ingredients – which is what this smart and simple to use 10 piece Stainless Steel Mix & Measure Set from Basic Essentials® delivers. This Basic Essentials® 10 piece set is ideal for measuring, holding ingredients, and mixing. 2.5 quart stainless steel measuring bowl has etched markings inside and out for precise measuring. It also has a handle and deep wells for stable, thorough mixing. Cups and spoons have easy to read imperial and metric measures. Both sets of cups and spoons hang on a chain to keep them organized, and nest for space efficient storage. Whisk is great for beating eggs, blending batter and stirring sauce. 10 piece stainless steel mix and measure set is durable, non-corrosive, does not react with food or odor, and easy to clean. Polished mirror finish stainless steel is the ideal choice of professional cooks. And perfect for you.